I was adding a website to Alltop for someone the other day and the aggregation service would not accept the feed. The feed was submitted years ago and working just fine up until a recent HTTPS migration. The feed was being generated by a theme which I have used on many occasions and works perfectly when it is HTTP. So, what is the problem? Googling these shows me thousands of others totally baffled by the messages. SRCSET attributes are a great thing. Size attributes are totally normal. Any article with an embeded YouTube video will have an iframe. No, there is no dangerous content. The data-lang attribute suggestion is silly and is what you get if you embed a tweet. I reached out to Alltop support for help and quickly heard back from Will Mayall with some friendly advice to submit the feed using a Feedburner feed. People running podcasts and syndicating their blog and what are much more familiar with this than I am as this was literally the first feed I have submitted anywhere in years. Upon Googling a few questions, I see loads of people having issues submitting their HTTPS RSS feeds (and HTTP RSS feeds) to various places such as SoundCloud and iTunes. That said, I have no idea at all if iTunes accepts FeedBurner feeds- maybe I am about 5 years late to this party and everyone already uses FeedBurner. 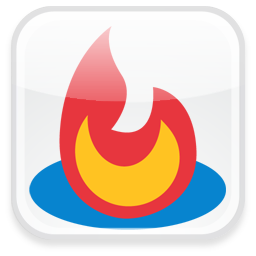 But, if you are having issues submitting your RSS feed after an HTTPS migration, FeedBurner may be able to help you. 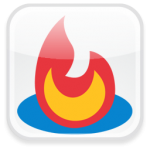 To “burn your feed” with FeedBurner simply log in to FeedBurner and supply them with your RSS feed’s URL and pick up your new FeedBurner URL. If you have been having issues with your HTTPS RSS feed please feel free to comment below.